Washington, Utah State and Buffalo will have some new fans in places like Bloomington, Nashville and Raleigh on Saturday night. Bubble teams vying for the NCAA tournament’s final at-large bids need the Huskies, Aggies and Bulls to win their respective conference tournament title games. Otherwise potential bid thieves Oregon, San Diego State and Bowling Green can claim the automatic bids from the Pac-12, Mountain West and MAC and push Washington, Utah State and Buffalo into the at-large pool, further shrinking the number of available spots for teams on the bubble. Which bubble teams are in jeopardy of being squeezed out of the NCAA tournament field? And which are already on life support? Below is an attempt to answer those questions and project how the selection committee will assess the bubble. Oklahoma appeared headed toward a stress-free Selection Sunday before suffering maybe its worst loss of the season Wednesday night. The Sooners dumped their opening-round Big 12 tournament game against West Virginia, one of the league’s only two teams not in contention for an NCAA bid. Where that leaves Oklahoma is still in decent shape but no longer stress-free. Marquee wins over Wofford, Kansas and Florida bolster the Sooners’ argument, as do strong KenPom and NET rankings and a sweep of fellow bubble team TCU. If Florida sneaks into the NCAA tournament and avoids the First Four, the Gators can point to their SEC quarterfinal upset of top-seeded LSU. Their second victory of the season over the Tigers will go a long way toward compensating for a 4-11 Quadrant 1 record that includes a long list of missed opportunities against quality teams at home. Throw in victories over Ole Miss and Alabama and very solid NET and KenPom numbers, and Florida looks like a good bet to make the field. It also didn’t hurt that the Gators acquitted themselves well again Saturday in a narrow SEC semifinal loss to Auburn. There were two paths to an at-large bid in this year’s beleaguered Pac-12. Either win the league convincingly like Washington, or do work in non-conference play like Arizona State. The Sun Devils entered Pac-12 play with three of the league’s five best wins, victories over full-strength Kansas, Mississippi State and Utah State. They then did just enough in the Pac-12 to avoid nullifying that good work, claiming second place in the league and reaching the conference tournament semifinals. Arizona State has some bad losses against the likes of Vanderbilt, Princeton and Washington State, but the Sun Devils are 11-6 against the top two quadrants. That’s better than almost every bubble team and good enough to send Bobby Hurley’s team back to the NCAA tournament for a second straight year. 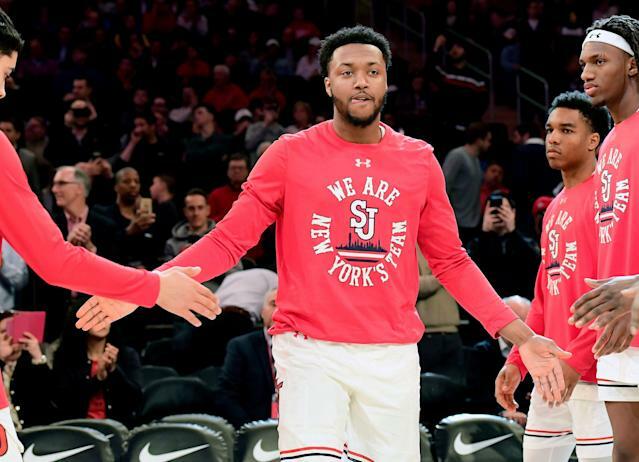 When St. John’s led Villanova deep into the second half on Jan. 8, the Johnnies appeared to be on track to make the NCAA tournament with ease. They were minutes away from improving to 15-1 overall and 3-1 in the Big East. Those days feel like a long time ago now given how the second half of the season has gone. A talented but erratic St. John’s team dropped 11 of its final 18 games to fall perilously close to the bubble. The argument in favor of St. John’s is a 10-10 record against the top two quadrants, including a total of three wins over Big East frontrunners Marquette and Villanova. The argument against the Johnnies is their soft non-conference strength of schedule, bloated computer numbers and sub.-500 record in a weaker-than-usual Big East. Ohio State’s opening-round Big Ten tournament victory over fellow bubble team Indiana could be what sends the Buckeyes to the NCAA tournament. It at the very least was a win they had to get to stay in contention after dropping three straight without suspended standout forward Kaleb Wesson to end the regular season. While Ohio State’s 4-10 record against Quadrant 1 foes isn’t anything remarkable, the Buckeyes do own a road win at Cincinnati, a season sweep of Indiana and single wins against Minnesota, Iowa an Creighton. They also have only one Quadrant 3 or 4 blemish, a respectable home loss against Illinois. Temple is the mayonnaise of 2019 bubble teams. The Owls’ profile is the most boring of any team vying for one of the final at-large spots. On one hand, they’ve only dropped one game to anyone outside the NET top 100, a Big Five loss to Penn. On the other hand, they’re just 2-6 against Quadrant 1 opponents and those victories over Houston and UCF are their only wins over likely NCAA tournament teams. Temple had a chance to solidify its bid in the American tournament, but the Owls crashed out in Friday’s quarterfinals against Wichita State. That ensures a nervous wait to see if they’ll send Fran Dunphy into retirement with an NCAA tournament appearance. Belmont’s case will come down to whether the committee values an elite mid-major that didn’t get many chances for marquee wins or a middling power-conference team that had plenty of opportunities but only took advantage of a few. If the committee prefers the former to the latter, the Bruins should be at the top of the mid-major pecking order. In non-league play, Belmont won at UCLA, lost by 11 at Purdue and swept a pair of games from fellow bubble team Lipscomb. The Bruins then shared the Ohio Valley regular season title with Murray State but lost to the Racers in a hotly contested conference tournament title game. No bubble team has a gaudier record than Belmont, but it’s the antithesis of Texas’ from a strength of schedule standpoint. Seventeen of the Bruins 26 victories came in Quadrant 4 games. 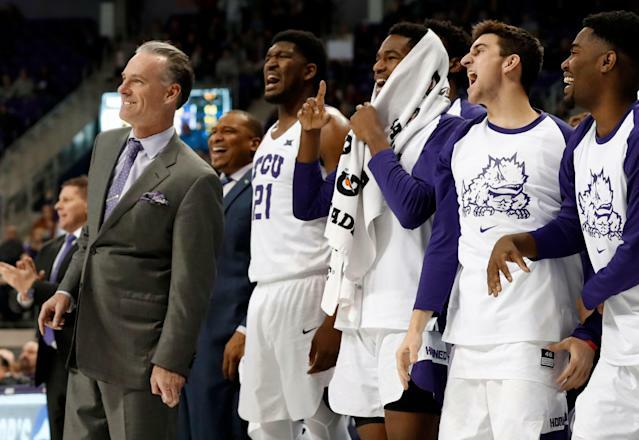 Avoiding a massive collapse against Oklahoma State on Wednesday prevented TCU from doing irreparable damage to its NCAA tournament hopes, but the Horned Frogs couldn’t solidify their spot with a deep Big 12 tournament run. They lost to Kansas State in the Big 12 quarterfinals, ensuring that they’ll be on of the last teams in the NCAA tournament field or one of the first left out. Helping TCU’s case is a sweep of Iowa State, wins over Florida and Baylor and a dearth of Quadrant 3 and 4 losses. Hurting it is a pedestrian 3-9 record against Quadrant 1 foes and a head-to-head home loss to fellow bubble team Lipscomb. Indiana’s season of wild swings ended in the ideal way. Just when it seemed the Hoosiers might recover from an injury-plagued midseason swoon in which they dropped 12 of 13 games, they instead fell by four points to fellow bubble team Ohio State in the opening round of the Big Ten tournament. 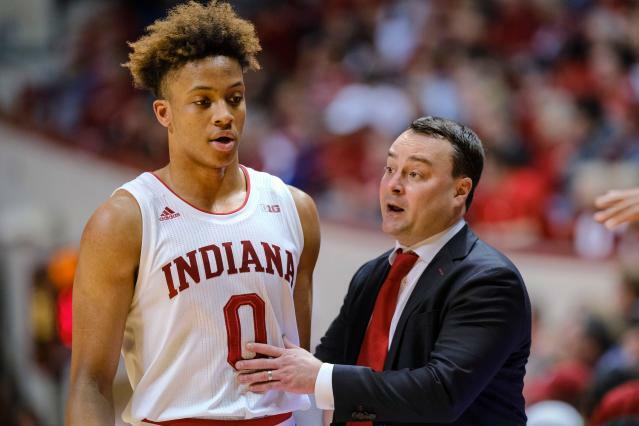 Now Indiana can only wait and hope that its collection of Quadrant 1 wins and lack of sub-100 losses are enough to offset a middling 17-15 overall record. The Hoosiers have six Quadrant 1 wins including a season sweep of Big Ten champion Michigan State and marquee wins over Wisconsin, Marquette and Louisville. That’s more than every other bubble team, two or three times as many in some cases. Many bubble teams on this list had more than a dozen chances against power-conference foes bound for the NCAA tournament. UNC Greensboro, on the other hand, only had two, both on the road against top 10 opponents. The Spartans lost by six to LSU in Baton Rouge and pushed Kentucky for 35 minutes in Lexington. UNC Greensboro’s margin for error for an at-large bid was miniscule after those losses, and the Spartans made a good run at threading that needle. In a top-heavy Southern Conference featuring four of the nation’s best mid-majors, UNC Greensboro went 4-0 against Furman and East Tennessee State but lost to eventual league champ Wofford all three times they played. Where that leaves the Spartans is anyone’s guess. They haven’t lost to a single team outside the NET top 15 all season, but they’re also lacking many noteworthy wins. North Carolina State should be very grateful that the NCAA decided to adopt a new metric this season as its primary tool for gauging the strength of teams. The Wolfpack enter Selection Sunday 33rd in the new NET rankings compared to 98th in the now-defunct RPI, a gap that could be the difference between competing for one of the final at-large bids and not even being in the discussion at all. The problem for NC State is that the closer you examine its resume, the less deserving it looks. The Wolfpack played the 353rd-best non-conference schedule, went 9-9 in the ACC and beat only two likely NCAA tournament teams — Auburn and Syracuse. That’s simply not enough. Never before has a team earned an at-large bid with a .500 record or 16 losses, but Texas can cling to a shred of hope of being the first. A ridiculous 19 of Texas’ 32 games came against opponents in the NET top 50 this season and the Longhorns won seven of those, notching victories over North Carolina, Purdue, Kansas, Kansas State, Iowa State, Baylor and Oklahoma. They’re also top 40 in the NET an top 30 in KenPom, which compares favorably to other bubble teams. 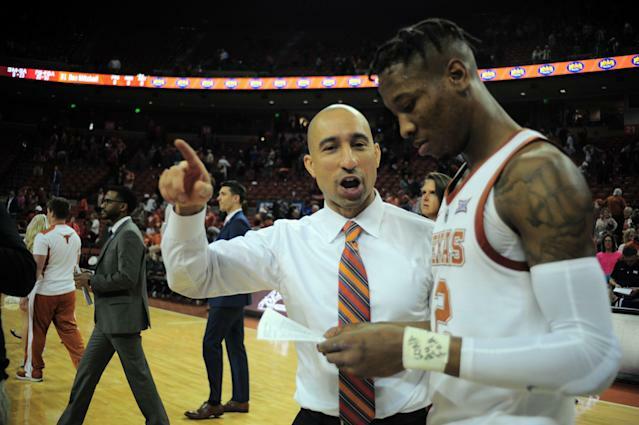 It’s a long shot that Texas makes the NCAA tournament because of the precedent it would set, but the committee could have incentive to give the Longhorns a hard look. Including them would send the message that the committee rewards a tough non-conference schedule, something that is good for the health of the sport. The Tide are the very definition of power-conference mediocrity, having done just enough to stay in the hunt despite achieving little of note in non-league play, finishing below .500 in the rugged SEC and falling in the quarterfinals of the SEC tournament. They do own marquee victories over Kentucky and Mississippi State, a sweep of Ole Miss and a win over the fighting Ja Morants of Murray State, but they’re also just 3-10 against Quadrant 1 competition overall. That last stat may be what ultimately costs Alabama. It had had a lot of chances for quality wins, but failed to capitalize on enough of them. Whatever slim hope Clemson had extinguished when the Tigers lost to NC State in the opening round of the ACC tournament. They probably needed to win that one and topple Virginia a day later to make any semblance of a compelling at-large case. Clemson owns a marquee win over Virginia Tech, useful victories over Syracuse and fellow bubble team Lipscomb and respectable computer rankings , but that is not enough to compensate for the glaring flaw on its resume. The Tigers are just 1-10 against Quadrant 1 opponents this season, a stat that is nearly impossible to overcome. If a mid-major earns a surprise at-large bid on Sunday, UNC Greensboro is probably a better bet than Lipscomb. All seven of the Bisons’ losses are worse than any of UNC Greensboro’s and their list of quality wins is only slightly better. Winning at fellow bubble team TCU is a boost for Lipscomb, as is a top 50 NET ranking. But being swept by fellow bubble team Belmont hurts, as does a 17-point road loss at Clemson, another bubble team. All in all, Lipscomb has the look of a team that’s bound for the NIT. The Bisons needed to beat Liberty in the Atlantic Sun title game last weekend, but they fell six points short. Oregon fans hoping that reaching the Pac-12 title game will be enough to snag an at-large bid are going to be disappointed. The Ducks need to beat top-seeded Washington on Saturday night to make the NCAA tournament. While Oregon boasts a pair of wins over Arizona State and single victories over Syracuse and Washington, the Ducks are still just 2-5 in Quadrant 1 games and 4-4 in Quadrant 2. Home losses to UCLA and Oregon State hurt, as does one to Texas Southern. In most years, a team lands an NCAA bid if it wins 10 Pac-12 games and reaches the conference tournament title game. In one of the weakest Pac-12s in recent memory, however, that’s an NIT resume.